We understand that a clean job site is a safe job site and our construction cleaning services offer just that. Roses Professional Cleaning’s team is skilled in providing construction cleaning services for initial cleans, rough cleans, and final cleans. Our janitorial services team will ensure a thorough evaluation of your project and will present the right solution for you. 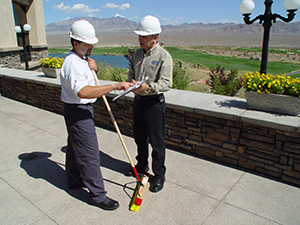 Our janitorial services staff is highly skilled and efficient in construction cleaning and safety. We know what it takes to get the job done and get it done right! Roses Construction Cleanup prides itself on quality, professional service at affordable rates. If you have any specialized construction cleaning you need performed, our janitorial services team is available for a free estimate. Call us today and ask about our construction cleaning services. Copyright@ 2013. All rights reserved by Roses Professional Cleaning, Inc. | Design & Internet Marketing by The Search Source.